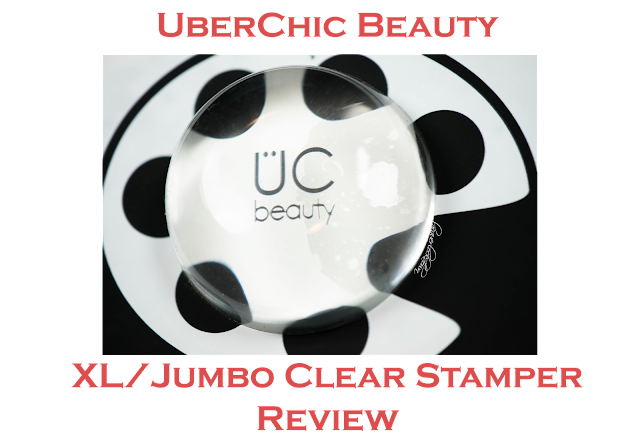 Lacquer Lockdown: UberChic Beauty XL/Jumbo Clear Jelly Stamper Review + Helpful Tips! UberChic Beauty XL/Jumbo Clear Jelly Stamper Review + Helpful Tips! Sorry for the short radio silence my wifi has been down because Comcast is the root of all that is evil and makes me long for my old Verizon. Nevertheless today I'm going to be reviewing the XL stamper from UberChic Beauty. 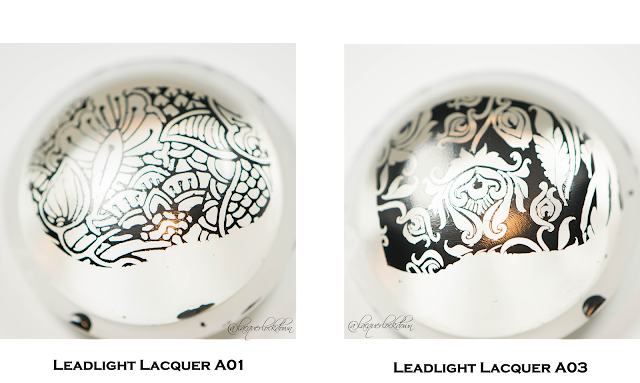 I actually had to play around with this stamper so much before I could post a review on it. This in part came from it being entirely a size I've never used before in this style of stamper and second and I think more importantly the difference in the size and style of the "holder" I was using needed to be adapted to. In fact, I struggled a lot with that which is great for you because now I can prevent you from having that same struggle. It was obviously less awesome for me, but in all honesty its good to get some challenges in with stamping now and again because that's how I keep learning and growing. Anyhoo this review will be broken up into sections which you can browse as well as full scale video review complete with swatches. Please let me know if you have any comments or questions below. Now let's get started! Of course I'm going to introduce the brand. Let's not be silly shall we? You know UberChic Beauty or you've been living under a rock or you are new to stamping and get a pass - otherwise side eye game strong. A US based indie stamping plate company run by the lovely Brittany Hull Uberchic Beauty is about 14 months old and hit the market hard! Eight collections of plates not including her individual plates, stampers and brushes of all kinds, the landmark inventor of the "stamping mat", and all around creative powerhouse! Maybe you wouldn't have thought it was a year old given all the accomplishments this brand has under its belt, but well that's what happens when you put creativity together with a strong vision of where you want your brand to be and determination to make it happen. Give UberChic a follow on any of these social platforms. This stamper is made of silicone. 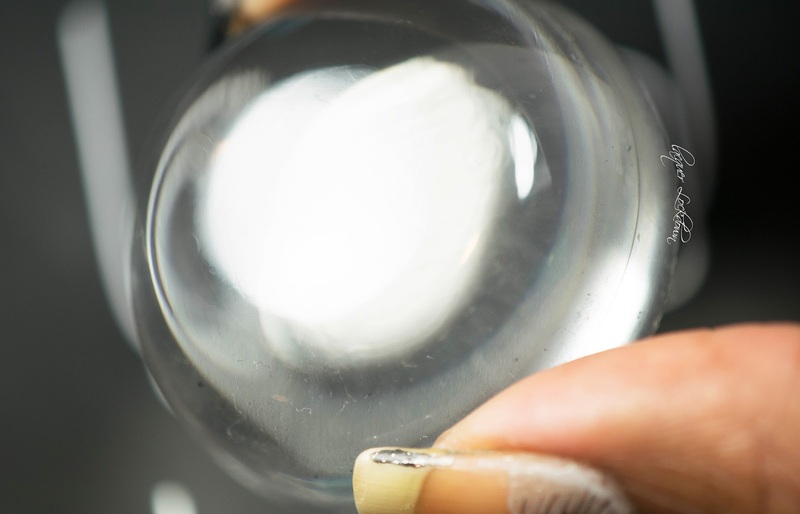 I'm 99.9% certain of this and the reason why I'm so certain is because it is 10-20x softer than the original Clear Jelly Stampers which were a silicone acrylic blend. Why does this matter? 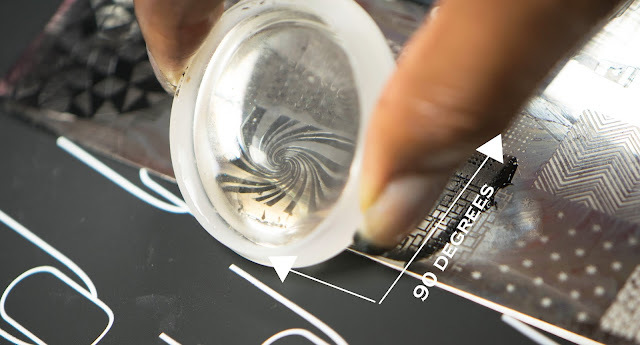 Because now you know your stamper won't break into 10,000 pieces if you bend it and at least for those you who understand the in's and out of chemistry and how they work with elastomers you will be able to clean your stamper with acetone. Yes I clean my silicone CJS's with acetone and not a single one has been damaged yet. The oldest one I own and have done this with is about 4 months old now and has no problems. In any case to each their own, but I thought you might like to know you can do the same with this one. This stamper isn't really a marshmallow or even my own created marshmallow 2.0 label for those weirdish different ones that came after the original marshmallows. Btw if you still don't know what a marshmallow stamper is read here. This is a squishy soft/moderate. It's not a squishy firm its a bit too soft for that yet is not as soft as the soft as the softest CJS I own. You can see the difference in the video. Still this one is quite friendly on longer nails and bends with the most fierce C curve. This stamper is only mildly sticky as in very slight to none. Holder: Choose your own. I'm using a 1.5 x 1.5 inch PVC washer here. Note: Please make sure you purchase the CORRECT washer Model #965K to prevent your stamping pad from popping out! This is the correct link to that model. Here I take you through how to get the head in the washer and I do a simple comparison to my original AliExpress CJS which is hard as bricks and now very much retired from use as well as a softer CJS I use and own. I also gasp do some swatching! WHAT?!?! I know I know. You guys should know I hate video swatching because I think its boring except when it has a purpose. Here I try my best to demonstrate the best way to hold this stamper using this holder to get best pick up and like every other jumbo I've ever encountered this one requires rolling. This one however is just a bit tricker with the smaller washer shaped holder, but once you've got it down pick up is decent. The swatches for these were done using my Messy Mansion Leadlight Lacquer plates and Mundo de Unas stamping polish to keep thing consistent. MdU is also the most reliable stamping polish I own and a gold standard in terms of opacity and by now you all should be used to seeing these Leadlight plates across my reviews their etching is superb. Ok a few caveats - one this stamper required no priming/washing/etc of any kind. Thing was stamping straight out of the package. However I did clean off my greasy fingerprints with scotch tape before picking any images up. This stamper picks up beautifully without priming as you can see though there are some smallish air bubbles occasionally. This occurrence shouldn't really bother the average user i.e. not taking closest upon closest photos of your nails in macro which betrays every flaw. Even for me the bubbles are so small I don't mind them. However this all depends on you picking up your image the right way. I'm not going to lie as I said earlier I struggled with pick up a lot with this stamper mainly because of the size and shape of the "holder". It's tricky and a bit finicky to work with. If I'm being 100% honest I struggled with it enough that I'm not sure it's a match made in heaven for me. Hitting at least a 90 degree angle and rolling results in best pickup. If you hold the stamper wrong and don't bring it down on the image properly you will get very poor image transfer. This will require some practice, but once you have it down you'll be quite happy. In addition, it turns out that when you are stamping your nail you must also be a bit careful. This is more of a problem I think for ladies like myself who have very long nails or pronounced c-curves. I have both so the struggle was real. I found that if I held onto the sides of the washer pushed down onto my nail the stamper would pop right out of the washer and not completely cover my entire nail. If you watch the video you'll see what I mean. To solve this problem I found I had to place my finger over the center of the stamper to brace it and keep it solidly in the washer to prevent this from happening. Once I did that all of my issues resolved. 1. Do not squeeze the washer or the stamper when you are holding it for stamping this will result in shrinking of the image you were stamping unless that is your intention. 2. Make sure the stamper is tucked all the way into the washer and the bottom of the stamper is even and flush with the rim of the washer. If this is not the case you will get uneven pick up. 3. Hold the stamper at a 90 degree angle and roll the stamper down and over the image. If you do not do this you will get patchy and horrible pick up. This will take practice. 4. Use one of your fingers to brace the back of stamper as you push it down onto you nails. Don't worry you will still be able to see very clearly where your stamp is going, but this will first prevent the stamper from popping out of the washer and second prevent your image from warping across your nail bed. UPDATE: If you have the correct washer Model #965K from Lowe's your stamper should NOT pop out however the 90 degree angle rule still applies. This stamper is innovative and geared to the long nailed crowd or those who have a very large diameter thumb or for those who just want to pick up more of an image . For myself my nails obviously tend to be longer so I was thrilled when I saw these were going to release. Now if you aren't a longer nailed girl but have wide nail beds, which I also have - ugh, this stamper is definitely for you too. The pick up here is great once you get the hang of how to hold the stamper. The best best part of this stamper, at least for me, is I really don't have to "peer" through the holder to see where I'm stamping. I'll be honest and admit I hate that for two reasons. One it makes it awkward for me especially when I'm using a stamping polish that dries faster than Mundo. Two, when I'm filming a tutorial getting the barrel of the stamper lined up with the camera is a PITA. I don't have a table top tripod and its a real hassle in the extreme. As you know I definitely make more videos these days, so I really don't like to have to deal with that aspect of the CJS when I'm filming. Its nice to have one where you can see clearly from start to finish. This stamper does have some cons associated though which is that it doesn't come with a holder and if you use a washer there is a learning curve on how to hold and apply the stamper to your nail to get optimal image transfer. At the end of the day a washer may not be the best holder available for this stamping pad, but it does eliminate that pesky tunnel vision. Ultimately you will be left to decide which is best for you. I'm semi straddling the fence myself - I love the stamping pad, but I'm not so 100% on board with the washer as a holder. Note: I was originally provided the incorrect link for the washer which prevents the stamping pad from popping out. I will do a brief update once I receive the correct washer. The links I have provided on this review and also my video are now the corrected links for that washer Model #965K. I'll close by saying right now this XXL CJS is the most affordable one on the market even when you add the price of the "holders", which were 1.98 for 2. I did see one other one on the market and it was retailing for $12.99 + shipping. When I saw that price I was like what is going on with stamper prices these days. After years of stamping why are we paying almost 2x the price of our plates for a stamper? It's my humble opinion that the accessories should not cost more than the plates themselves. I don't really find that acceptable so in that regard UberChic has my vote as well. Ok so I hope this review was helpful for you. I try to keep things streamlined, but also direct. If you have any questions or comments please let me know. You can find the Jumbo CJS, plates, and much more on the UberChic Beauty website. Happy hunting and I'll see you next post!